While things are still very active at the Unity Gardens its clear that fall is right around the corner . This is the time we start to put our garden to bed . We have planted our fall crops , and as our warm weather crops die off we pull the plants , and cover up the area with cardboard and leaves or grass clippings . Its been a long hard summer . We have had on average 500 people a week harvesting in the LaSalle Square garden since May . The number is more than likely much higher at LaSalle Square . Then if you add in all the other 40 Unity Gardens in town the numbers increase dramatically . Unity Gardens has helped supplement a large number of people with fresh healthy food , but its more than that . 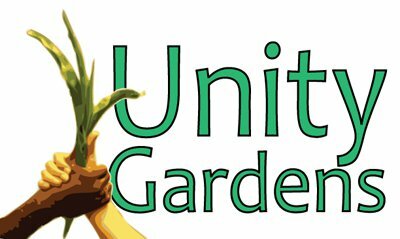 With all the kids programs , garden tours , and garden , and cooking classes Unity Gardens educates the community on growing , and eating healthy food . Then there is the social dynamic of bringing diverse people together to enjoy the outdoors , and the common bond we all have with eating . Its always bittersweet as we head into fall . Cool weather feels nice , but the days enjoying the garden are numbered . Enjoy it while you can ! !